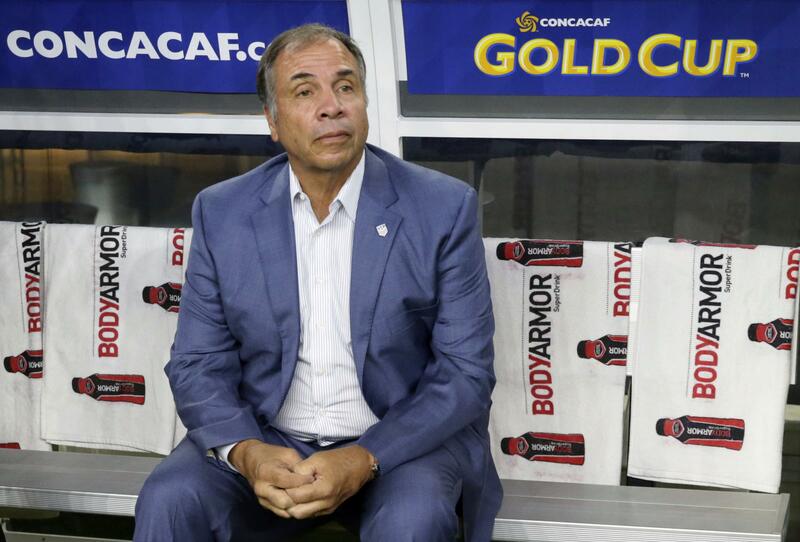 NEW YORK – Bruce Arena resigned as U.S. men’s national team coach on Friday, three days after the Americans failed to qualify for the World Cup for the first time since 1986. The U.S. Soccer Federation did not say who will take over the team for planned exhibition games next month. USSF President Sunil Gulati, speaking during a telephone news conference, said he did not plan to resign. He said it was not the right time to talk about whether he will seek a fourth four-year term in February’s election. Gulati said the federation will seek “outside expertise” as it moves forward. Arena was brought back last November after a 0-2 start in the final round of qualifying in the North and Central American region under Jurgen Klinsmann. The Americans were unbeaten in their first 14 games under Arena but lost at home 2-0 to Costa Rica. They got themselves in position for an eighth straight World Cup berth with a 4-0 win at home last week over Panama and needed only a draw at Trinidad and Tobago, the world’s 99th-ranked team. But they fell behind by two goals and lost 2-1. Arena was 10-2-6 in his second term, leaving him with an 81-32-35 record and the most wins among U.S. coaches. Published: Oct. 13, 2017, 9:58 a.m. Updated: Oct. 13, 2017, 4:35 p.m.